How do I adjust my email settings? Set your email notification preferences to what works for you. Your email notifications will apply to all organizations that you are a member. If you choose not to receive notifications, you can still stay up to date with the class. You'll be able to see all updates under Notifications and also through the class News Feed. Notifications from Wet Ink will come from the email address "team@wet.ink".Please save this address to your safe sender list or add to your contacts. Additionally, you may want to check your junk or spam filters. 1. 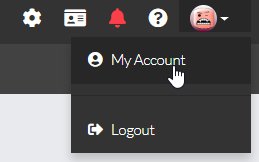 Click the account drop-down all the way to the right in the navigation bar. 3. Go to "Notifications" on the left navigation.